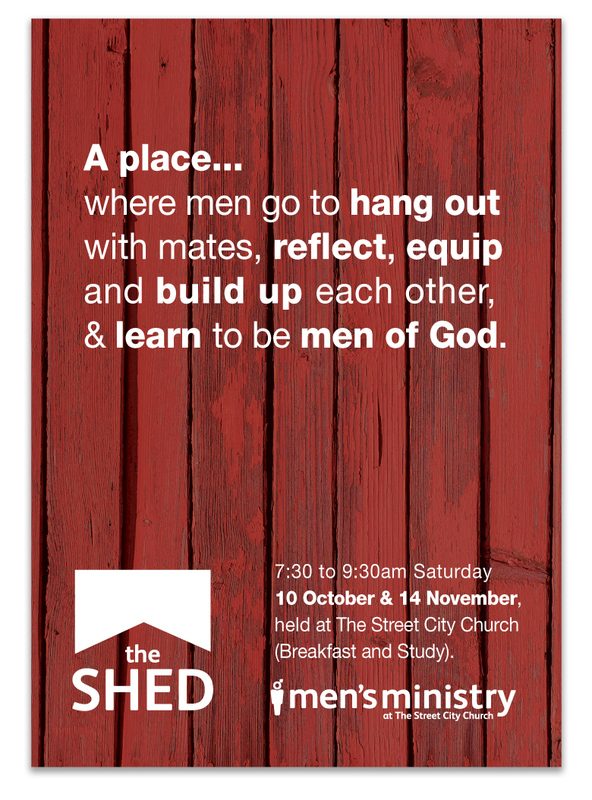 The Shed is a weekly gather for the Mens Ministry at The Street City Church. Every Saturday morning, groups of men would meet to share breakfast and their lives. It is designed to be a workshop for men’s souls. 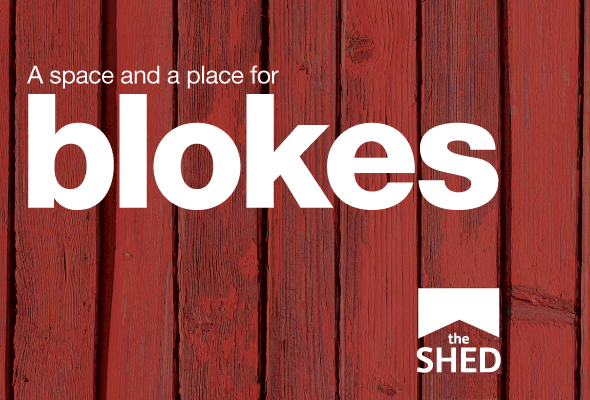 The Shed required a design that would appeal to Kiwi blokes that was not too fussy, and managed to convey that hollowed place in a man’s life – his shed. The logo, and all of the design items were kept simple yet striking, as the impact needed to appeal to men. The motivation statement was also required to be on all of the material, so it was clear what the gathering was about. 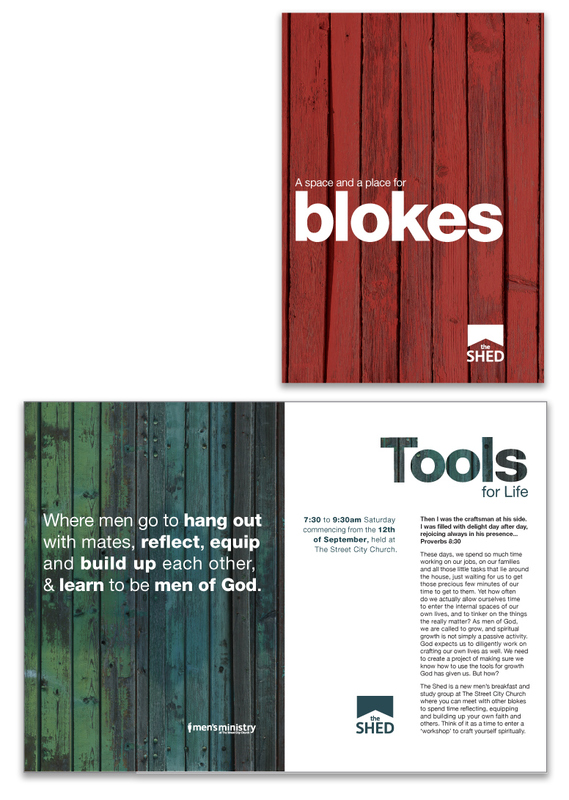 The A3 Poster and A4 flyers (below) were printed inhouse, the posters were placed everywhere within the church building where men ventured, and the flyers were distributed to interested parties at a sign-up desk in the church foyer.